Jeremy Crutchley is British-born and educated and is based in the U.S.A. Recent TV appearances include Leslie Doorhaus in BLINDSPOT (NBC) and Anton in GOTHAM (FOX). He has a wide range of Film, Television and Theatre credits to his name. 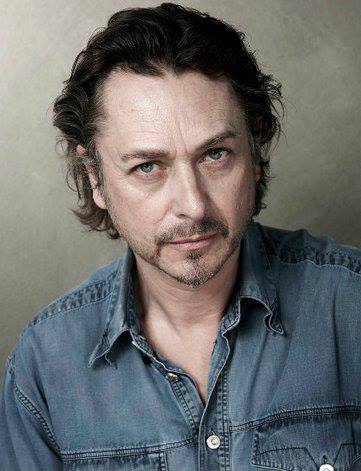 He plays the Puritan Magistrate Hathorne in SALEM (WGN America, Seasons 2 & 3), appeared as Robert opposite Rosamund Pike in WOMEN IN LOVE (BBC) and was seen as the pirate MORLEY in BLACK SAILS (STARZ), plus a Guest Star role on the Season 3 Premiere of HANNIBAL as Dr Roman Fell. Recent Feature Film work includes Jimmy Pond in FLYTRAP (nominated Best Lead Actor at the London International Film Festival 2016) and among many other awards and nominations the movie won Best Feature Film at the ECU Independent Film Festival in Paris 2015 and the REMI Award in Houston USA. He has co-written and produced a short film DEMUS, currently in post-production and in which he plays the lead role of Nic Demus opposite co-writer Samuel Roukin who also directs. Jeremy has composed and performed original music for the soundtrack. Jeremy is a highly experienced voice-over artist in film, animation and commercials. With a long history in THEATRE, his performance of the critically acclaimed solo show 'SACRED ELEPHANT' received rave reviews in New York at the legendary La MaMa Theatre – and also at The Odyssey in Los Angeles in 2014. Other Theatre work: he played Doug Wright’s Pulitzer prize-winning Broadway hit I AM MY OWN WIFE in South Africa to sell-out success: the production attracted 6 Nominations and won 3 Fleur du Cap Theatre Awards, including both Best Actor and Best Solo Performance. For The Royal Shakespeare Company he played King Alonso in “The Tempest” at Stratford-Upon-Avon and on the sell-out UK national tour and also won the Fleur Du Cap Best Actor Award for his portrayal of Shylock in “The Merchant Of Venice”. In a year of Repertory at the renowned Off-West-End ‘Orange Tree Theatre’ in Richmond, he played 8 roles in 11 productions ranging from classic to contemporary plays. He memorably created the role of Dr. Drabble in the black comedy THE DICE HOUSE, transferring from the Edinburgh Festival for a successful London run in The West-End. Jeremy first made an impact in the 80’s as Slim in Sam Shepard’s COWBOY MOUTH, then later as Alan Strang in Peter Shaffer’s EQUUS. He has also given award-winning performances of such diverse characters as Bessmertny in SARCOPHAGUS, Song Liling in M.BUTTERFLY, and H.R.H. The Duke of Windsor in the Solo-show I WAS KING. A self-taught guitarist and always a rocker at heart, he wrote and played the music & lyrics for his own Rock Theatre work BLOODBATH ANAESTHETIC (1978), SLOPER (’82), and composed and performed original material for Brian Aldiss’ BROTHERS OF THE HEAD (’84). He played Dr Frank’n’Furter in the original cast when THE ROCKY HORROR SHOW finally hit South Africa in 1992, . His blues-rock music surfaced again in 2010 when he wrote and recorded his first studio album, titled RELEASE, for which he also conceived and directed a music video. He named his band The Standing Wave. He has recently reintroduced his musical ideas into the current soundtrack for the short film DEMUS (2017). For some info on Jeremy's music- click here.